There's one thing we recommend you do before you die, it's get to a Hitomi-GO day. "I've got some wild sized wheels, some carbon flares sitting in a box & a 180sx. Lets make it happen"
Limited to 15 cars! ! $110 for drivers (2 pit crew per driver.) 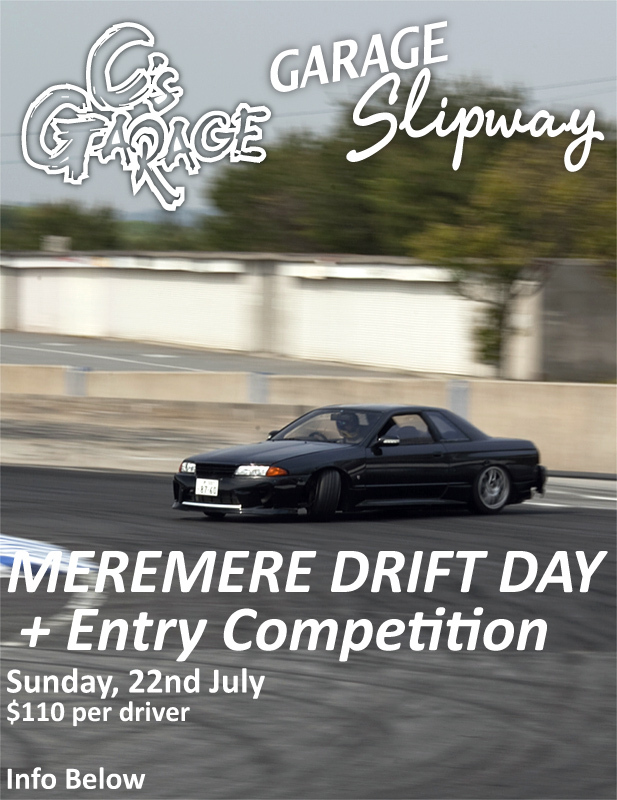 Drifting from 9am till 4pm. The day will cater for beginner to advanced drivers. Starting out with figure of eights, manji practice, and a mini course. The end of the day will consist of open track. The entry competition consists of a few judges watching the afternoons open session, giving advice and feedback as it goes. Then at the end of the day, awards/prizes will be given. If you decide to take part, the entry will consist of an initiation onto the wall then round a hairpin and up the return road. © 2019 C's Garage. All Rights Reserved. Powered by Shopify.